Rishie loves squids made curry, so this is for him. Mix chilli and turmeric powder with a little water to form a paste. Add squids, potatoes and tamarind juice. Mix and cover the wok for 3-5 minutes. Ouch! 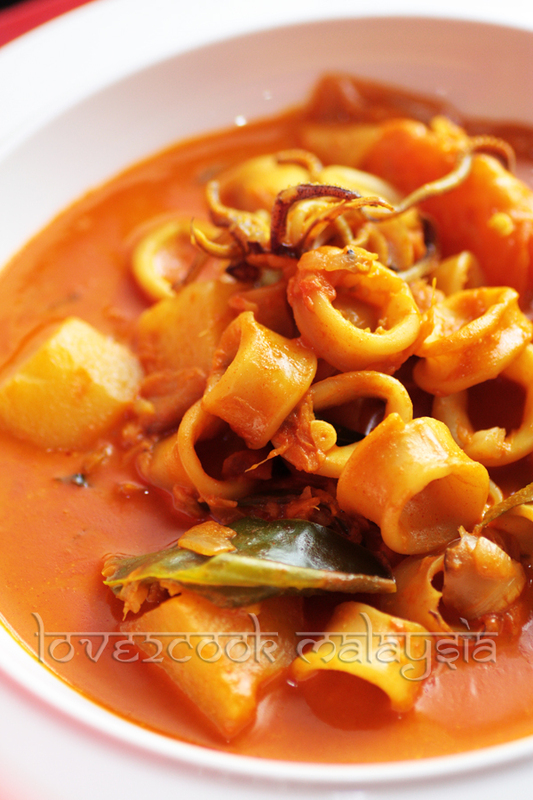 loveee... i cannot tahan looking at ur sotong.. we normally masak hitam or masak thick curry with sotong.. 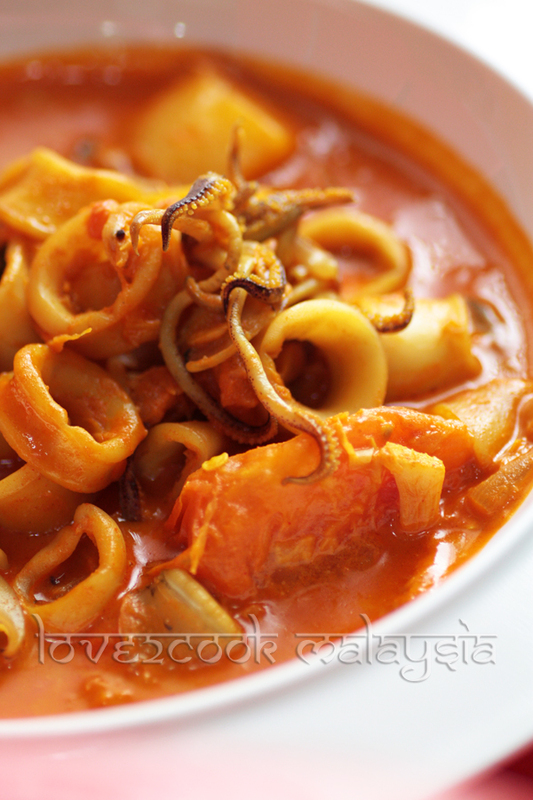 I am delighted to see the wonderful pics of squid curry. Looks delicious. Es un plato impresionante muy rico,abrazos y felices fiestas,hugs,hugs. Hai Friend, good choice during this rainy season. Any house for sale around your place. Your food is tempting me. awesome dish....never tried with squids be4....If a try it sometime then definitely this would be the recipe :-)n wonderful clicks dear ! This looks delicious! I love squids too, maybe I could share a bowl of this with Rishie! Hi love dear! Miss u and ur cooking so bad!! Your curry sotong look tempting and yummy, more rice please ..Happy Holidays and Happy New Year! i cooked this dish way long before..
didnt know that this recipe was featured in the magazine!!! 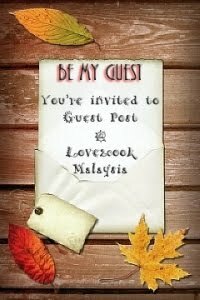 I will post this recipe in blog soon..so thank you for sharing ya..
Congrats to you dear..you made me proud being a food blogger!!! congrats to the rest too..
may more to come ..